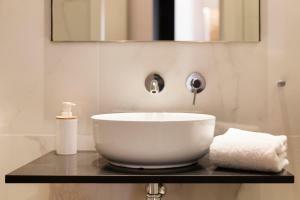 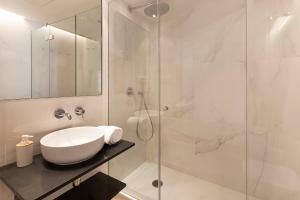 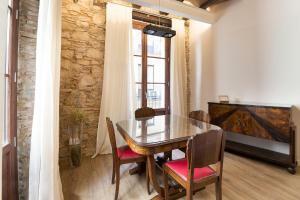 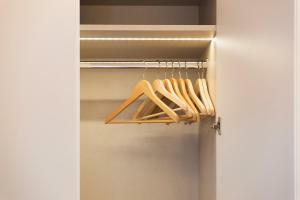 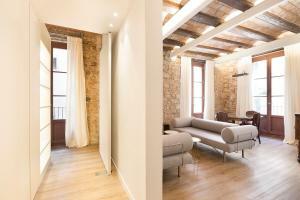 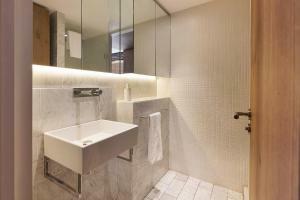 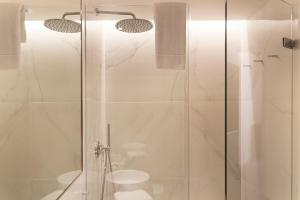 Just 100 metres from Passeig del Born, these stylish apartments have balconies and free Wi-Fi. 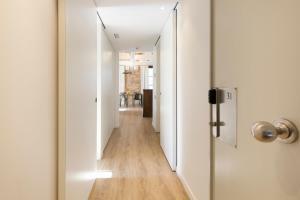 Borne Apartments Barcelona - Decimonónico offers an ideal setting within 5 minutes’ walk of the Picasso Museum and the Born’s trendy bars, cafés and restaurants. 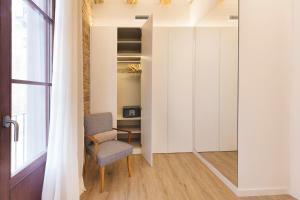 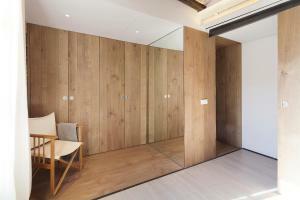 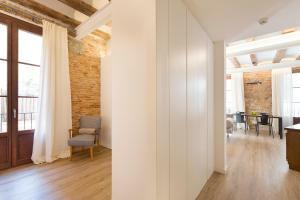 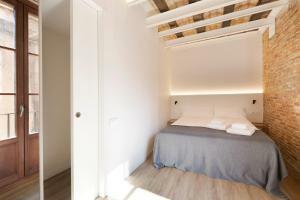 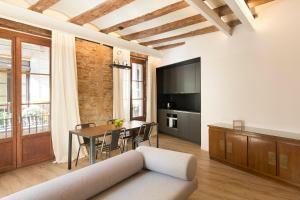 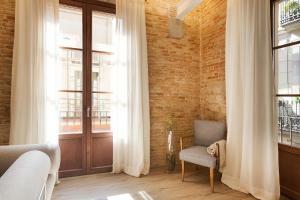 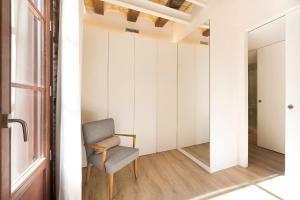 Each smart apartment at Borne Apartments Barcelona - Decimonónico has chic, modern décor combined with original features such as wooden beams and exposed stone walls. 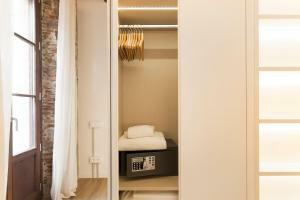 The spacious living room has a sofa and a flat-screen TV, and the kitchenette includes a microwave, fridge, coffee maker and a kettle. 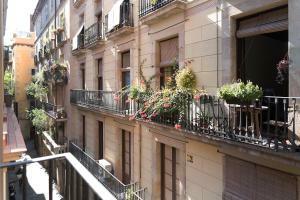 Ciutadella Park is just 5 minutes’ walk from the apartments, while Barceloneta Metro Station and the old port are within 600 metres of the Borne Apartments Barcelona - Decimonónico. 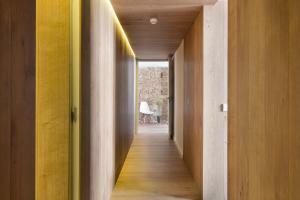 The nearest beaches can be reached in less than 20 minutes by foot. 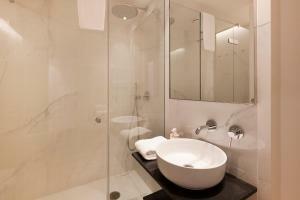 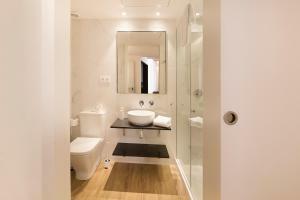 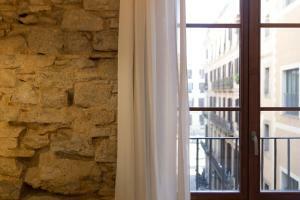 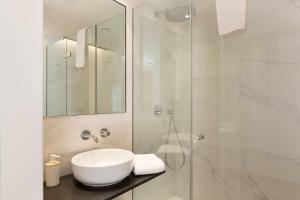 Las Ramblas, the Gothic Quarter and Plaça de Catalunya are less than 1.5 km away. 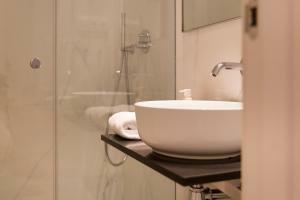 A credit card will be required on arrival as a guarantee against damages. 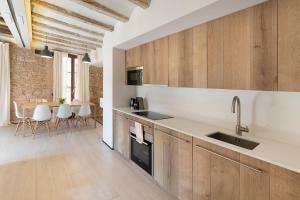 This larger, air-conditioned apartment features chic, modern décor combined with original features such as wooden beams and exposed stone walls. 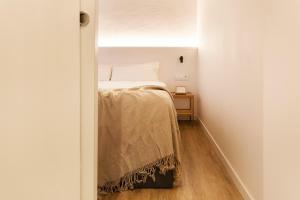 There is a double bedroom, and a spacious living room with 2 single sofa beds and a flat-screen TV. 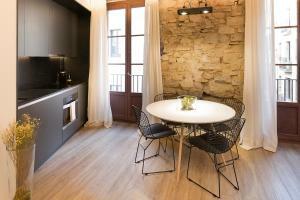 The kitchen includes a microwave, fridge, coffee maker and a kettle. 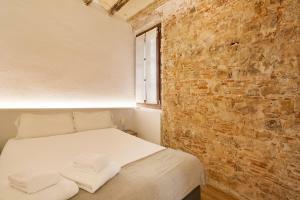 Four single beds can be requested, subject to availability. 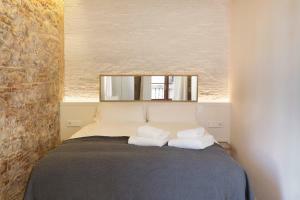 Rate: € 106.95 ... € 222.27; select dates below to get current rates. 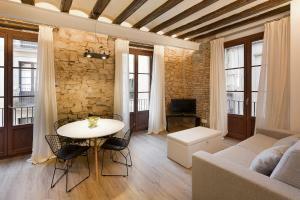 This stylish, air-conditioned apartment features chic, modern décor combined with original features such as wooden beams and exposed stone walls. 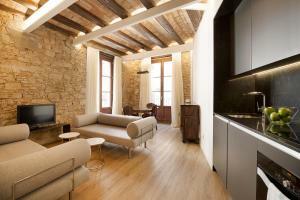 There is a double bedroom, and a spacious living room with one double sofa bed and a flat-screen TV. 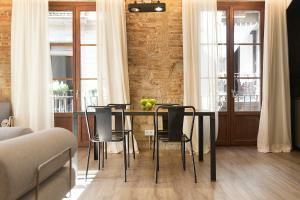 The kitchen includes a microwave, fridge, coffee maker and a kettle. 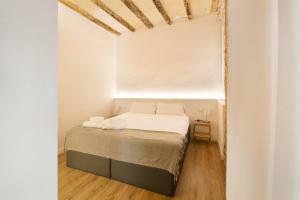 Three single beds can be requested, subject to availability. 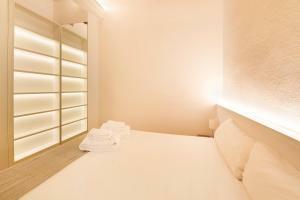 Rate: € 94.00 ... € 279.00; select dates below to get current rates. 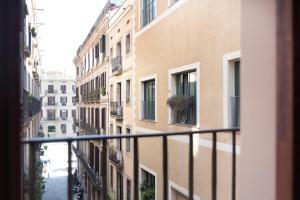 This newly renovated apartment offers access to a rooftop terrace. 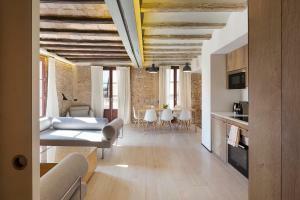 It features modern décor combined with original wooden beams, exposed stone walls and large windows. 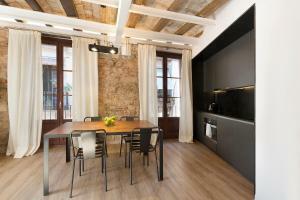 It has an open-plan kitchen and a dining area. 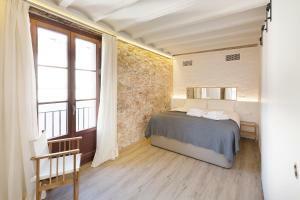 There is a bedroom with a double bed, a spacious living room with 2 single sofa beds, as well as a full bathroom and a kitchenette. 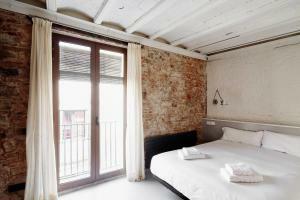 Rate: € 99.75 ... € 227.05; select dates below to get current rates. 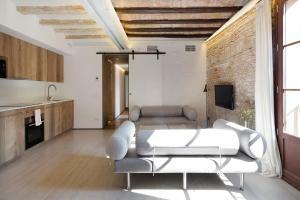 This stylish and spacious apartment features chic, modern décor combined with original features such as wooden beams and exposed stone walls. 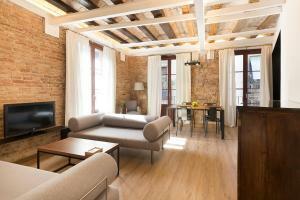 There are 3 double bedrooms, and a spacious living room with 2 single sofa beds and a flat-screen TV. 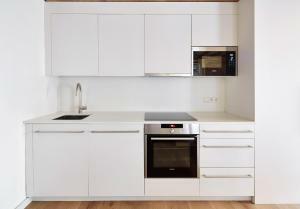 The kitchen includes a microwave, fridge, coffee maker and a kettle.